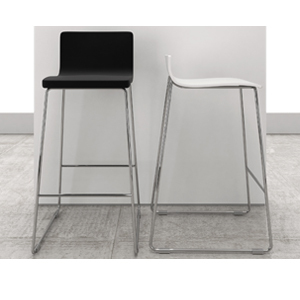 Manolo stools are available at both Bar and Counter height. There are two seat styles: Backless and Lowback. The seats are available fully upholstered, and in wood-finished veneers as well as Palette finishes. The metal frame is Polished Chrome, and features non-marring polycarbonate glides.